Guaranteed comfort and a great fit! Maevn Red Panda women's full elastic waist cargo scrub petite pants are crafted to give a modest yet professional look. 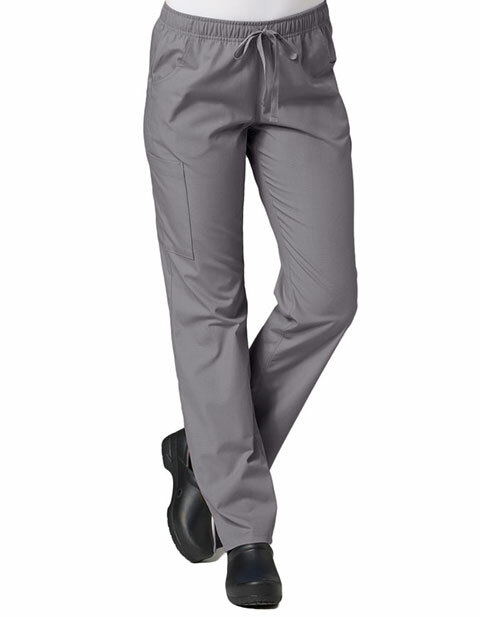 Offering unmatched comfort; the pants feature a full elastic waistband with dyed-to-match drawstring and side vents for a personalized fit and mobility with added comfort. Moreover, two front slash pockets and one back patch pocket ensure secure storage of your paraphernalia.